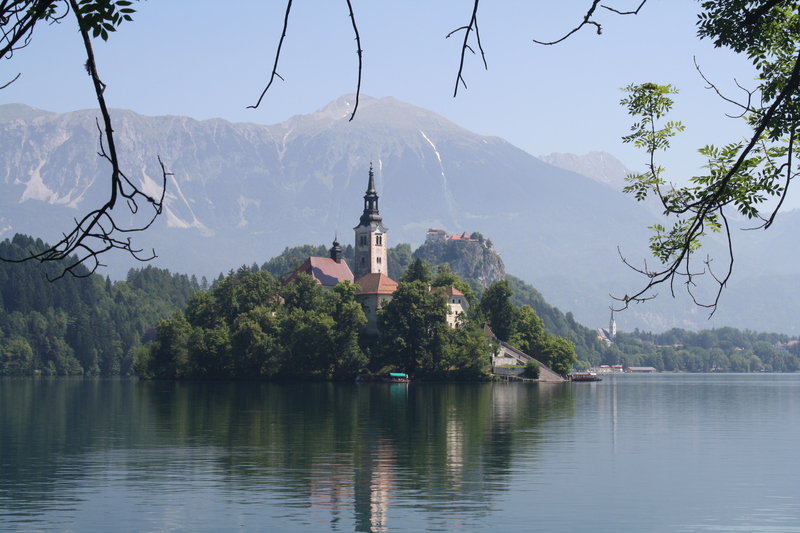 Besides being unbelievably picturesque, for me, the best thing about Bled was that it makes a perfect jumping off point for other outdoor adventures in the Julian Alps. 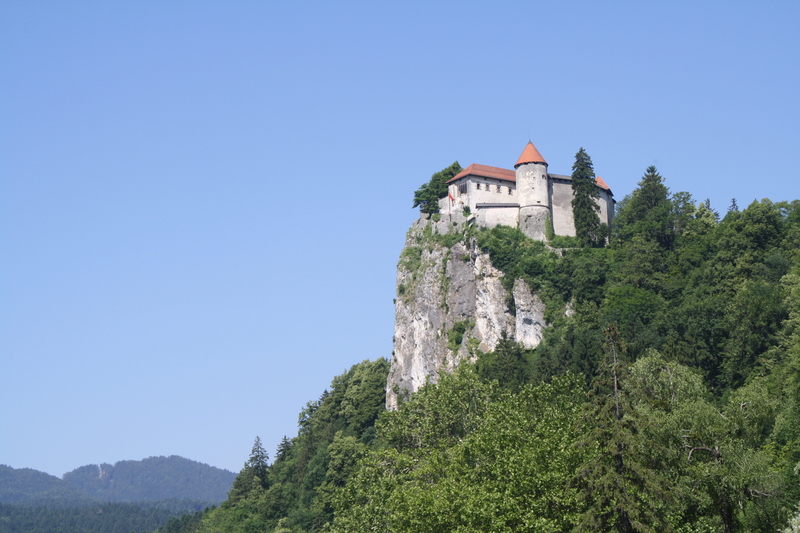 The town is full of outdoor tour companies offering activities like canyoning, paragliding and guided hiking. 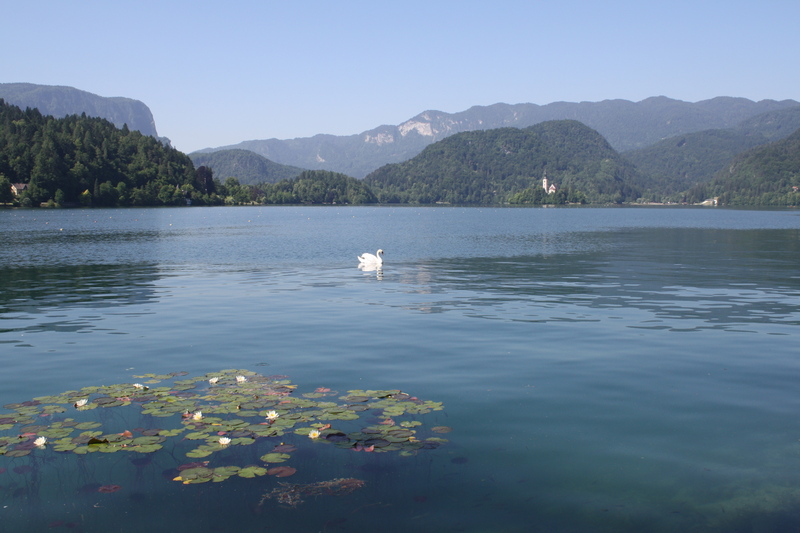 It is possible to bike or walk to the spectacular Vintgar Gorge and hourly public busses can take you to the less developed, and possibly even more stunning Lake Bohinj for hiking, boating or rock climbing. 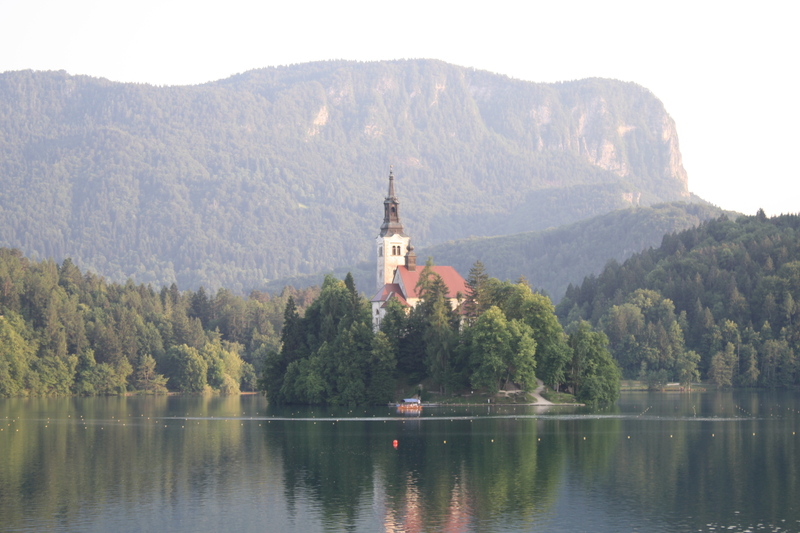 After a day of outdoor adventures, Bled’s larger town becomes less of an annoyance and more of a convenience with its many restaurant and cafe options. 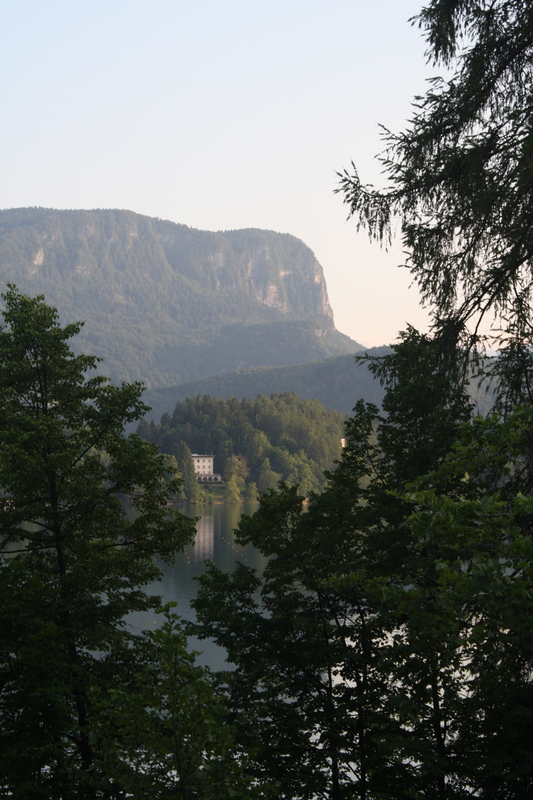 Finishing up the day with a hike to the castle after 9 p.m. will allow you to look down onto the lake and island without the usual 8€ admission charge. A hired rowboat heading out to the island. 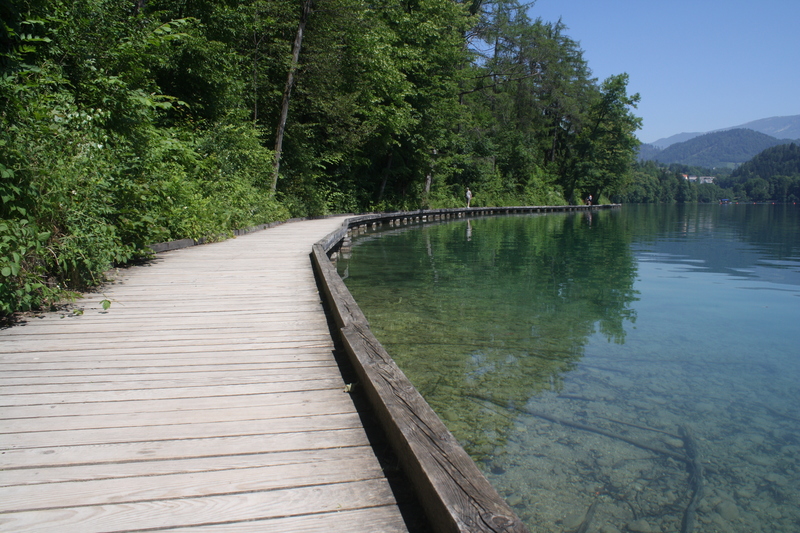 A short segment of boardwalk over too-blue-to-be-true water. Any groom who gets married in the island church has to carry his bride up all of these steps. 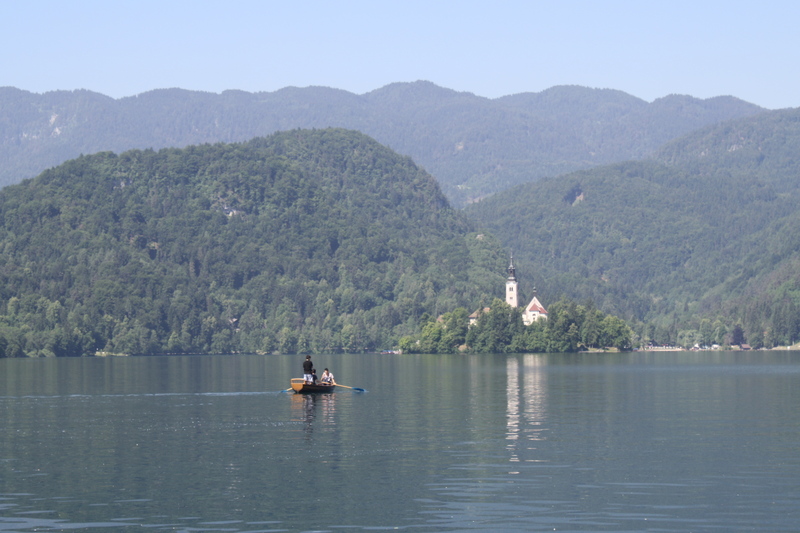 I know I say this about nearly every place I go, but one time at Lake Bled was certainly not enough and I hope to make it back someday soon. I was sad to leave this after just a few days.